To manage your Medical Search Engine Optimization (Medical SEO), there are 7 Areas of Focus that must be coordinated and routinely monitored. While you do not need to master every aspect of Medical SEO to oversee a campaign effectively, you do need to know what to manage. Digital Marketing for healthcare requires a different approach than other industries, and practice leaders must understand how to manage their web presence as well as any other department within a healthcare organization. This guide will empower you to measure the success of your digital marketing campaign, while also helping you to understand how to rank your medical website in 2019. Before we get into the details of how to rank your medical website, let’s discuss how to monitor the progress of a digital marketing campaign objectively. If you had to select one thing to measure the success of your Medical SEO campaign, you should learn how to check your Domain Authority (DA) score. What is a Domain Authority score? A Domain Authority score is a quality measure, a search engine ranking score that Moz developed to predict how well a website will rank on search engine results pages (SERPS). Moz uses a number of factors to track the “ranking strength” of a website over time. This scoring system has proven to be accurate and effective at measuring the success of a digital marketing campaign. Moz uses a 100-point, logarithmic scale. Each point earned is harder than the last, thus it is significantly easier to get from 20-30 than it is to get from 70-80. Moz explains that there is no “good” or “bad” score as their tool is meant to be used as a comparative metric against your competition. But we have found that a DA score of 20 is the point where a practice really enters the arena to begin competing on search engine results. A winning DA score is dependent on bringing quality traffic to your website and providing an exceptional user experience. Google provides various tools that will provide a lot of data about your website and those visiting it. You can see who is on your page in real time, where people are searching from, how many visitors are unique, how many are return visitors, and much more. But which metrics really matter? Google has continuously improved its algorithm, and it will continue to do so indefinitely. Google’s algorithm has gone from being manually managed by an army of engineers to a portion of it now being controlled by artificial intelligence–and with better results than ever before. Meet Google’s RankBrain. RankBrain is a machine learning system that uses artificial intelligence to improve search results and interpret new queries. While there are many debates on how to track these metrics accurately and interpret what they mean, we have found a positive correlation between a successful digital marketing campaign and 1) lowering Bounce Rate, and 2) increasing Time on Page (which is not to be confused with Dwell Time). With all of this in mind, we still defer to the Domain Authority score as the true measure of success. Ranking a medical website is not entirely different from non-medical websites, but we have developed an effective process specifically for medical SEO. There is no secret sauce. We just follow the guidelines laid out by Google, and we don’t cut corners. The foundation of a strong Medical SEO campaign begins with a well-built medical website. In order to rank your website, you must give your patients an exceptional user experience. The goal when building your medical website is to create your own mini-WebMD for your specialty within your local market. If you ultimately accomplish that goal, you will certainly have a successful Medical SEO campaign. The security of your website factors into how well your website ranks on Google. A non-secure website will harm your SEO efforts, but it may also chase away your patients. Below is an example of a secure website, as noted by the “Secure” designator, as well as the https in the web browser. Below is a website which Google Chrome identifies as “not secure,” lacking the designators noted above. You can easily determine if your website is secure or not by going to your web address and looking directly to the left of your URL inside your web browser. If your website does not show a green lock icon with the word “Secure” next to it, then secure your site with HTTPS. 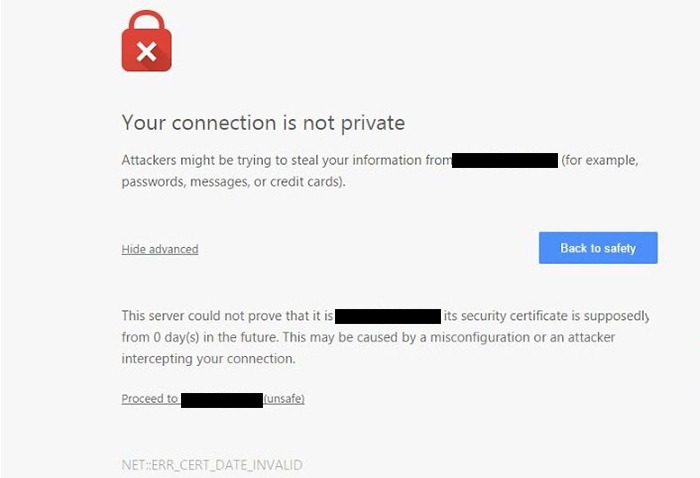 If you are still uncertain, here is some further information on how to check if your site’s connection is secure. Messages like this can appear when users type in website addresses that do not have a secure connection. Google’s bid to push all website owners toward HTTPS is not new. In fact, it began in 2014, when Google published a blog announcing HTTPS as a Ranking Signal. At the time, the blog post stated they were using security as a “lightweight signal,” but in 2017, we learned that security is a much larger ranking factor than three years ago. In 2019, expect this trend to continue and increase in importance. If you observe any of the top websites in the world today, you will find they are designed to perform on mobile devices. 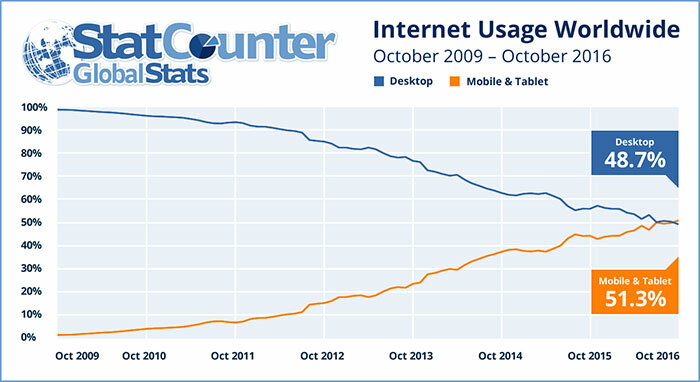 Mobile search surpassed desktop searches a while ago. As such, in 2016, Google announced it was making a shift away from Desktop-first to a Mobile-first approach when indexing web pages. What this means is that your website must not only be mobile-friendly, it must be designed with mobile users as a priority, thus Mobile-first. Mobile-first design is a challenge for the medical industry. If you look at many medical websites, you will find that most trends favor Desktop-first design. For example, placing phone numbers in the header of your site, or placing too much content in your header image section. Even the layout of your content needs to be formatted in a Mobile-friendly format to accommodate user behavior. The bottom line is to build your site in a way that gives both mobile and desktop users the quickest access to high-quality content. But, cater first to the mobile users. Your site speed is gauged by the time it takes to load the content on your webpage. And that matters because faster web pages operate more efficiently, providing a more optimal user experience. If your site does not load quickly, and operate smoothly, users will abandon your site. 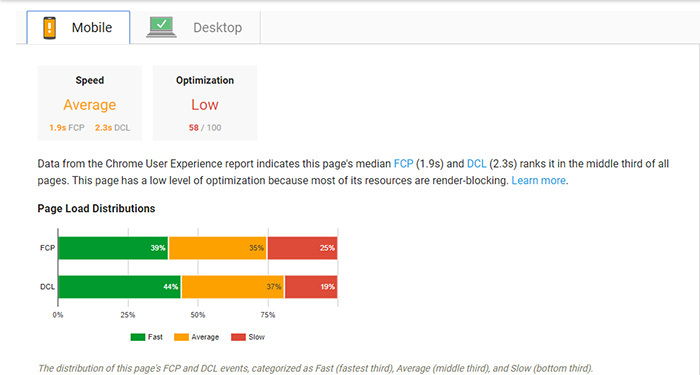 Google’s PageSpeed Insights lets you see your page load score. Start by entering in your URL into the tool, and let it process your website. You’ll find that along with the scores, Google provides a list of possible optimizations. In Google’s own words: Since PageSpeed is a performance optimization tool, its recommendations are biased in favor of speed. However, we recognize that web development is complex, and our suggestions might be restrictive for an individual web site. You have to consider the tradeoffs for your own application: some of PageSpeed’s recommendations take substantial effort to implement, so you need to evaluate the cost of making changes vs. the benefit the rule would have on your page. Our goal is simply to point out the issues that you should consider fixing. Your website layout is vitally important to your website’s performance, and to your Medical SEO campaign. To understand truly what patients want, we have reviewed large data sets from Google Analytics to analyze user behaviors across different specialties. Do you have any qualifications that make you stand out? Do you have hospital affiliations that you can tout? Can you take same day appointments? What information can be featured on the website that will help patients see you as the best choice? Patient behavior on your website will determine the success or failure of your Medical SEO campaign. In order to lay out your website to provide an exceptional and engaging user experience, you will need high-quality content in various formats. 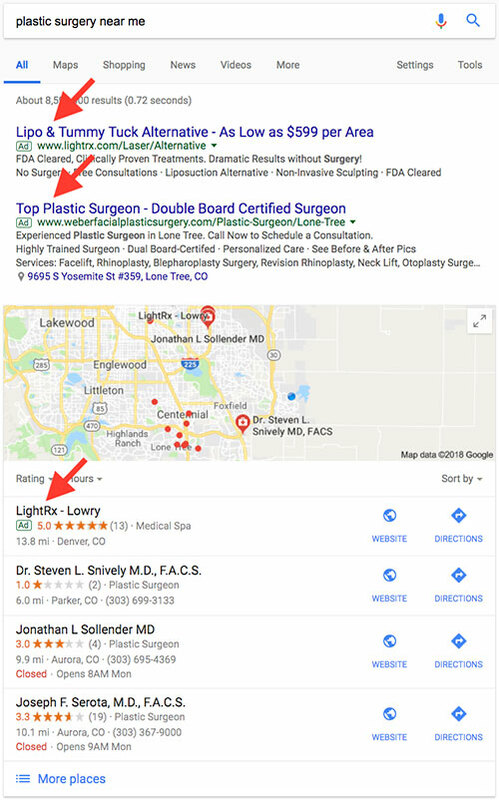 Google does not understand most medical specialties, especially multi-specialty practices like ear, nose and throat clinics. Likewise, many physicians continue to develop copy that is medically accurate, but does not perform well for search results. Bridging that gap is the key to dominating your market. Write in a conversational voice, or how you would explain something to a friend (that is not a doctor). While longer form content is preferable, medical writing generally proves to be too long for most. If people don’t read it, your user experience suffers. Use a Q&A format whenever possible, or write in bullets, lists, or snippets of information that are easy to digest quickly. Consider writing at a sixth-grade level to maximize patient literacy. To understand how Google analyzes content, check out our article on Google’s RankBrain. Images are possibly the most misused form of online content. They provide an enormous opportunity to enhance your copy with visual aids while enhancing your SEO, yet medical websites seldom seize the opportunity. Draw them into your content with captivating headlines and relevant images. Avoid having pages full of copy without any images. Shorten paragraphs, and use other methods to ease reading, such as bullet points and numbered lists. Use only high quality photographs of your office, staff and providers. Use stock photography from reputable source like ShutterStock or iStock. Use photos with people and/or animals, as opposed to scenic photos. Select human models that reflect the demographic in your market. For more technical information on how to manage your images online, read How to Optimize Your Images. Video content matters and it will increasingly matter as time passes. Behind Google, YouTube is the second largest search engine in the world. YouTube gets more search volume than Bing, Yahoo!, AOL, and ASK combined. The medical community is largely behind in this trend, except for some specialties like plastic surgery. Yet, for those practices who do invest in video, they quickly see that patients are highly interested in and responsive to the content. What does this mean for your practice? Video content is becoming mandatory in a competitive market. What types of video should you create for your practice? There are certain types of video that work well for medical practices, and they should be shared on your website, social media, and even linked to in your e-newsletters. We know from experience that patients respond favorably to these videos. And that will add significantly to your SEO efforts. Check out our article on How to Create Effective Video for Your Medical Practice. While managing Online Business Directory Listings is tedious, it is a simple way to gain a number of links to your domain while simultaneously sending signals back to your website that tells Google you are a meaningful online resource. Managing your directory listings is about having consistent NAP (Name, Address, and Phone) scores across all major directory listings such as Google Maps, Yelp, etc. A consistent online profile will go a long way in directing prospective patients to your correct name, address, and phone number. For medical practices, there are industry-specific listings such as Healthgrades that can offer yet another opportunity to get both your practice and your providers more signals around the web. The trick is to develop content on your website that will help tie those signals from the medical directory listings back to your website. Whoever is managing your campaign should have some way of monitoring both your Online Business Directory Listings and your NAP scores whether it’s done manually, or by using a tool. Fortunately, there are many services that can help you manage your directory listings with relative ease. Other services like BrightLocal use a manual approach to managing directory listings, while others like AdviceLocal use an API but ensure the data input into your listings remains even after you discontinue their service. All of these services can work very well if managed correctly, and most seem to offer ongoing reporting and review monitoring to justify the ongoing cost. Note: None of these tools properly monitor Medical Directory Listings at this time, although some of them have started adding some support for industry-specific directories. What if Your NAP Information Changes? If you change your name, move your office location, or change your phone number, you will have to update your information on every listing. Although it may be an arduous task to start a whole new campaign, it has to be done. Over 85% of brand engagement by consumers online is local. 50% of consumers who search on a smartphone visit a business the same day. As much as 93% of all searches on Google feature map listings results toward the top of the page. Local SEO is a marketing technique that allows you to capitalize on your geographic location to gain an advantage on search engine result pages (SERPS). While there is some crossover between Local and Global SEO strategies, they each need to be handled differently. In its endless pursuit to provide a superior user experience, Google is continually placing more emphasis on local search results–and it makes sense if you think about it. If someone is searching for a plastic surgeon in Washington, DC, they will have no use for information about a plastic surgeon located in Boston, MA. This presents an opportunity for practices to gain visibility over larger brands like WebMD, when a patient is looking for a local resource. A Global SEO campaign will focus on a much broader area (statewide, national or even global) which would help larger brands or online retailers who are not confined by a geographic location. On the other hand, a Local SEO campaign will focus on a geographic area which will benefit businesses of all sizes that have a physical location and specific service area. When building your strategy for Local SEO, it is important to understand your specific industry and market because different industries require different approaches. For example, a restaurant needs to cater their content and strategy differently from a medical office. To break it down a little further, a restaurant on Alberta Street in Portland, Oregon would need to focus their efforts on their immediate area (the street and neighborhood) because winning online visibility in the city of Portland alone would not likely help them convert more customers. On the other hand, if a patient is looking for relief from sinus issues, they are more likely willing to travel a greater distance to find a physician who can help them. Hence, the medical practice’s strategy needs to not only include the street and neighborhood, but also the city and surrounding areas. The good news is that there are some very simple things you need to do to improve your Local SEO. To start off, you need to ensure that your Business Directory Listings match up with your current name, address, and phone number (NAP score). Once your data is accurate throughout your listings, then you can do your keyword research to see which keyword targets will apply to your business and just how specific you need to be in your area. To again use the restaurant as an example, they will want to include city names and street names in the keywords to rank on the search engines. Whereas the medical practice will concentrate on winning symptoms, profession, and diagnosis of an ailment that patients might be experiencing. Relevance – Are you an orthopedic surgeon? Prominence – Are you a notable orthopedic surgeon? Proximity – Is your practice located near the searcher? Local SEO requires a consistent effort on Onsite Optimization, Content Development, Business Directory Listings, and Reputation Management. When addressing these other focus areas, make sure to implement these three factors to appease Google’s Local Pack algorithm. 90% of users read online reviews. 86% of users will hesitate to purchase from a business that has negative reviews. Your online reputation will have an impact on your practice. The medical community is under even heavier scrutiny than other industries as 72% of patients are using online reviews as their first step in finding a new physician. Websites like Healthgrades offer comprehensive reviews of physicians to help patients gain insight into providers. It is no surprise to most physicians that patients are actively using the internet to research them. One of the most common questions providers ask is whether negative reviews can be removed. No, they cannot. However, depending on the review format, you may be able to respond to the review. To mitigate bad reviews online, you must implement a strategy to get more positive than negative reviews, and therefore push down the negative ones. This could include software like DoctorConnect, which will automate and enrich your efforts, or you can do it manually and train your providers and staff accordingly. Whether you use a software or a manual protocol, have a key team member solicit feedback from patients in your office. This could be a provider, or it could be a person from your support team. Either way, plan to solicit online reviews from your patients. For example, we have created business cards with the steps listed to leave a review on a specific website like Google, Healthgrades, or Vitals. These cards could be targeted to patients known to have had a positive experience. Keep in mind, it requires directing people to where you want them to go, or they may either leave the review elsewhere or not at all. If you can get a few reviews each month, you will eventually have all you need to improve your online reputation. 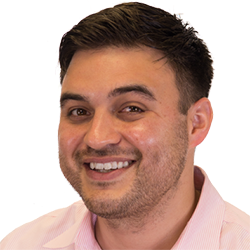 A significant part of your reputation management is fine tuning your practice from every point of contact with your patients from the moment they contact you. This includes phone training, customer service training, and even provider training on how to ensure a higher level of patient satisfaction. The same strategy used to mitigate malpractice lawsuits can be easily applied to increasing online ratings. Take an extra few seconds with every patient to ask them if you answered all of their questions and concerns. Make eye contact, and listen. This will not only improve your online ratings, but it will likewise lower the probability of litigation. In reality, you will not be able to satisfy every single patient. But the key to scoring higher than the competition is to run a good practice with well-trained staff, and to demonstrate care for your patients. They must feel you care. Finally, be sure to rally your happy patients so they rave about you online. 72% of all internet users are active on social media, and that statistic is on the rise. 45.6% of US adults searched for health information when using social media, with ever increasing numbers. 42% of social media users look at health-related consumer reviews (PCW). Social media must be reckoned with. But how? We believe that blogs and social media ultimately go hand in hand, and they should be tied together when building and implementing a digital marketing strategy. When you post to your blog, build a plan share it on social media. In fact, you can often create several social media shares from one blog by using a variety of snippets from your blog to bring people to your website. The old way of thinking about how to use blogs and social media (a way that will actually hurt you today) was to simply crank out a large number of blogs and to post to social media rampantly, while trying to drive up likes and user engagement. That doesn’t work anymore, if it ever did at all. If no one reads a blog post (i.e., a page generates no traffic, or has a high bounce rate), then it will hurt your Domain Authority. Focus on quality over quantity. To blog successfully, it is best to create high-quality posts and then work to drive traffic to those pages. Eliminate blog posts that go unused, or revamp them so they become useful. Decide which type of content you wish to share that reflects your practice. Use a calendar to plan out your posts at least 30 days in advance, but try for 90 days. Follow the 80/20 rule: 80% of content should not be about your practice, but it should be relevant to your industry; 20% should be about your practice. Simply put, we believe that publishers and brands have misused social media, and we’re seeing adjustments in the industry to validate this. As an example of where social media is headed, Facebook has overhauled their newsfeed to make publishers and brands five times less visible than user-generated content. What does that mean? It means Facebook is giving businesses less visibility on people’s newsfeed. We think it really means that Facebook is trying to avoid the same fate of MySpace, which became overrun by solicitors and eventually chased users to another social media site–Facebook–which at the time, had substantially less advertisement. This change also tells us that Facebook has realized that the old social media model encouraged businesses to push out relentless content while incentivizing users to like and engage with brands artificially. And that didn’t help anyone. Decide how many blogs to post each month, and share them on social media. But beware that posting blogs too often can actually hurt your SEO by having pages on your website with content that doesn’t get read. Only post high-quality blogs that will be useful to your patients, and then work to drive traffic to those pages. Decide how frequently you wish to post to social media each week while following the 80/20 rule: 80% of posts should not be about your practice (but should be educational in nature), while 20% should be specifically about the practice. Note: There are some specialties, like plastic surgery, where this ratio will need to be different. Decide on a look and format for your social media. Create your unique brand. Your online presence as a medical organization should look different than Chipotle or Nike. Always remember to protect your image as a medical provider to avoid losing trust from your patients. Can you share patient testimonials? Do you want to include hashtags? How will you feature your providers? Do you want to feature your staff? Do you want to use humor? Do you want to link to other non-competitive practices, if they have something noteworthy? Or would you prefer to never link to another practice? Who will respond to comments or inquiries? Online Paid Advertising (for the purpose of digital marketing for medical practices) refers to any online channel where you pay for traffic, and includes Paid Search, Paid Social, and Display Advertising. Google AdWords is the most commonly used channel, but you have many opportunities to pay for visibility in a variety of websites including Bing, Facebook, Instagram, Yelp, and RealSelf. Paid advertising can be expensive, but it is very effective, if conducted correctly. Since Google AdWords is the most popular form of paid advertising, let’s take a look at what you need to know to oversee a campaign properly. Obviously, the primary goal of paid ads is to convert business, but do not underestimate the long-term benefit of increased traffic to your website. To see a return on investment (ROI), commit to a minimum of 90 days with a paid ad campaign, and understand that in the first few months you are truly paying for data. That doesn’t mean you shouldn’t see results from the onset, but you certainly should expect that your campaign will improve as time passes. Once you have at least 2 months worth of data, then you can begin identifying your top performing keywords. Likewise, you will want to identify keywords that aren’t performing and stop spending money on them. To properly manage your online paid advertising, you need to understand which metrics matter. This metric tracks how many clicks you received from your online paid ad. It could direct to a landing page, a contact form, a download, or wherever you decide to send the user when they click your ad. Keep an eye on the average cost you are paying per click. This metric will be impacted by your competition, and also how well your campaign is optimized. To simplify things, answer this question for yourself: How much is too much for a click? The answer to this depends on each practice and where they fall in the balance between budget limitations and their desire to win as much traffic as possible. There isn’t a single number for every industry to say “this is a good cost-per-click, but the goal is to optimize your campaign and work to lower your cost-per-click over time. Before beginning a campaign, understand your budget: What are you paying for someone to manage it? How much of your budget is going to your ad campaign? Monitor this number monthly to see what you’re spending to determine ROI. This metric will tell you how many people clicked on your ad and took action, whether it’s submitting a form or placing a call. Conversions will vary depending on how your campaign is set up. Make sure to understand how you are tracking conversions. Conversions are the most important thing to consider when it comes to evaluating the effectiveness of your paid online advertising. Regardless of how much traffic is driven to your site, it needs to convert to a call or office visit if you hope to see any ROI. Phone calls are mishandled, or hold times are too long and patients drop off. There are no available appointments. Providers have bad online reviews, or other negative press. This metric will vary by industry, but watch this number over time. It may go up or down, either due to a rise in competition or a mismanaged campaign. Keep in mind that a high Cost Per Conversion can produce a great ROI. It is well accepted that paid advertising does not gain you any advantage in organic search results. However, what that really means is that Google does not officially give you favoritism because you paid for Google AdWords. And we believe that’s true. However, remember that “traffic begets traffic.” That means that the more people visit your website (and don’t leave right away), the more likely Google is going to show your website in search results. In the digital marketing community, this is commonly agreed upon. In fact, some agencies have gone as far as to refuse to work with a client who won’t use paid advertising, because they believe so strongly that it is essential to a digital marketing campaign. It’s hard to say that they’re wrong (although, we would never refuse a client for not using paid ads), because we are seeing more and more that search engines and social media outlets are pushing toward a “pay-to-play” model, meaning they’re showing definite favoritism to those who pay for visibility on their websites. What do paid ads look like? On Google and Bing, for example, you’ll see the word “Ad” in green font and enclosed in a square. At the top you will see Google’s Pay Per Click ads, and you’ll see a paid map listing above the “3 Pack” of organic map listings. Users are clicking on paid advertisements more often, while companies like Google and Facebook keep shifting their platforms more toward paid advertising, and less toward organic placements. Whether we like it or not, paid advertising is becoming an essential part of a digital marketing campaign for all businesses. Is Paid Advertising Right for You? Most businesses will benefit from paid advertising if it is done correctly. You can get immediate traffic to your website, which will serve your long term SEO efforts, because traffic brings more traffic. There are a few schools of thought on how paid advertising fits into a medical practice’s marketing campaign. It’s important to understand the opportunity and how you will run a campaign that fits your practice. Digital marketing for medical industries requires a specialized approach. Whether you retain your digital marketing in-house or outsource it, it is important that you know how to manage each of these seven areas of focus. For online success, you need to manage your online presence routinely. If you follow this guide, you will provide your patients with an exceptional online experience, while managing your reputation and standing out in your market. It’s as easy as hard work. Don’t have time to do it yourself? Don’t want to do it yourself? Reach out to us for various levels of support ranging from total online management to consulting your own in-house team.